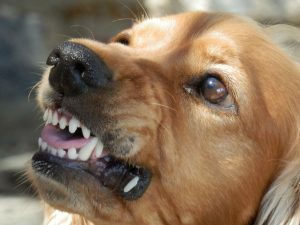 We’ve written before about dog bite cases, but a couple of recent cases in Georgia make the topic worth revisiting. In July, an eight-year-old girl was hospitalized for her injuries after being attacked by a pit bull. The 911 caller reported to the dispatcher that she was “covered in blood.” The girl experienced a full recovery, but it was a harrowing experience. The owners of the pitbull surrendered the dog to animal control authorities, otherwise it would have been deemed a “dangerous dog.” The dog was later euthanized. Just a few days later, a Springfield boy was seriously injured in a vicious dog attack. His injuries required more than 200 stitches and plastic surgery. The boy’s mother reported that he needed reconstructive surgery to his lip and that at one point he was at risk of losing his eye. The dog, a 10-year-old pit bull, was quarantined by animal control officials. Investigators were unable to determine what prompted these attacks, but in both instances the dog had to be pulled off of the victim. As noted, both dogs were pit bulls. Both victims were young children who sustained serious injuries that required hospitalization. Because it was such a traumatic event, the mother of the Springfield boy believes that her son will need psychiatric counseling. Anxiety and even PTSD are not uncommon following dog attacks. In addition, victims may face some scarring, nerve damage, and physical therapy. A man in Cobb County required two knee surgeries following a dog bite, resulting in a $450,000 settlement after filing suit. Georgia law states that the dog owner may be liable for any damages that result from the victim’s injuries. While the statute states that the dog must be “vicious” or “dangerous,” it goes on to provide that the dog may be considered dangerous if it is off the leash in violation of local ordinance. Seek medical treatment and keep copies of all medical documentation, notes, receipts, and other paperwork. Take pictures of the injury that resulted from the bite. Find out who owns the dog and ask for its shot records (especially rabies). Ask the owners if the dog has previously bitten anyone else. Ask any eyewitnesses to provide you with a written statement. Write down your recollection of the incident. In addition to medical expenses, keep track of and document any other losses, such as lost wages and transportation costs. Finally, you may want to consider speaking with a personal injury attorney who has experience with dog bite cases. An attorney can explain your options and help you move forward if necessary. If you’re suffering as a result of a vicious dog attack, our attorneys can help you get the compensation you deserve. Just give us a call at 888-474-9616 or send us an email to schedule a free consultation.